The Mona Lisa is also known as Portrait of Lisa Gherardini, wife of Francesco del Giocondo, or La Gioconda and as well as being one of Leonardo da Vinci's favorite paintings, it remains the most famous artwork in the world. The artist carried the Mona Lisa with him until he died and was clearly aware of its significance. After the painting was produced there were questions raised about the identity of the sitter. While most people agreed that it was Mona Lisa Gherardini, the wife of Francesco del Giocondo, a Florentine silk merchant, a lot of people proposed it was, in fact, a self-portrait, and the facial features resemble a later self-portrait by Leonardo. However, despite the fact that little is known about the commissioning of the Mona Lisa, how long it took to complete or payment for the work, an early biography of Leonardo claims that it was indeed painted for Francesco del Giocondo and is a portrait of his wife. It's possible that this work was commissioned to mark one of two events - the purchase of a house in 1503 or the birth of the family's second son in 1502 after the death of their daughter three years earlier. The fine dark veil that covers Mona Lisa's hair is often believed to be a mourning veil, a piece of clothing worn to symbolize social status. Yet, the subject's clothing is rather simple and ordinary and neither her gown nor the scarf around her neck indicates her aristocratic standing. 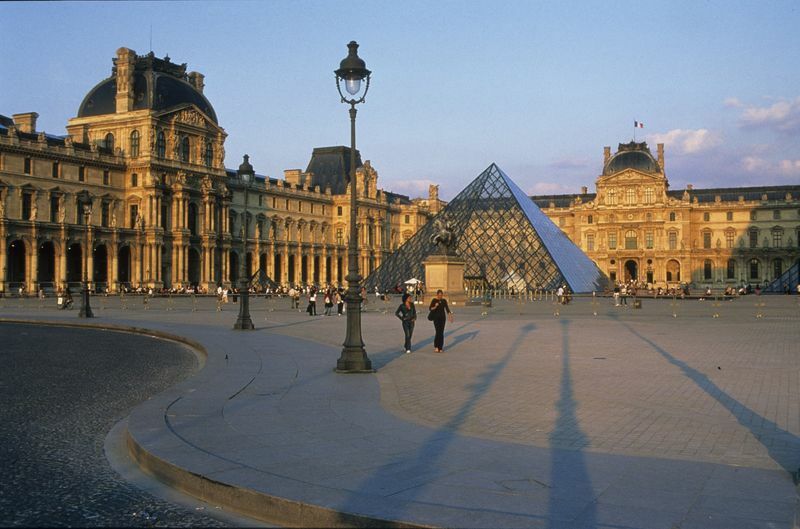 In 1911 the Mona Lisa was stolen from the Louvre Museum in Paris by a former employee who believed it belonged in Italy. The thief hid the painting underneath his painter's smock and left the museum. He had the painting for two years until he was seized by police and the work was safely returned to its original home. The subject is viewed from a frontal position and is seated on a balcony. Her face stands out against two distinct areas in the background: a civilized landscape and an imaginary one. Although the observer has a bird's-eye view of this scenery, there is definite harmony between the figure and landscape. Mona Lisa is wearing very plain clothing which is markedly different from other costumes painted at the time. She wears a very dark, simple dress with a pleated bodice, with gold embroidery. The dress has a low neckline that exposes her chest. She is not wearing any jewelry and a scarf hangs from her left shoulder. There is a veil hanging over her slightly messy hair, believed to be a mourning veil. Viewing the Mona Lisa today it appears rather drab, a mixture of dull yellow and brown tones. It seems that the work has been darkened by numerous coats of varnish that have yellowed with age. It is therefore likely that the painting was once more vibrant and colorful than it is now. 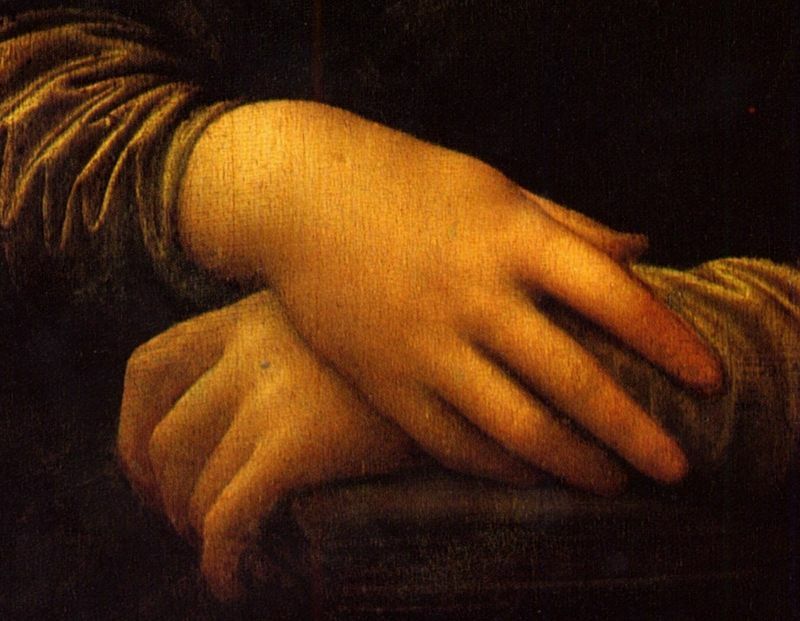 In this work Leonardo uses sfumato - a technique where sharp edges are blurred by blended colors - which leaves the corners of the eyes and the mouth in shadow. 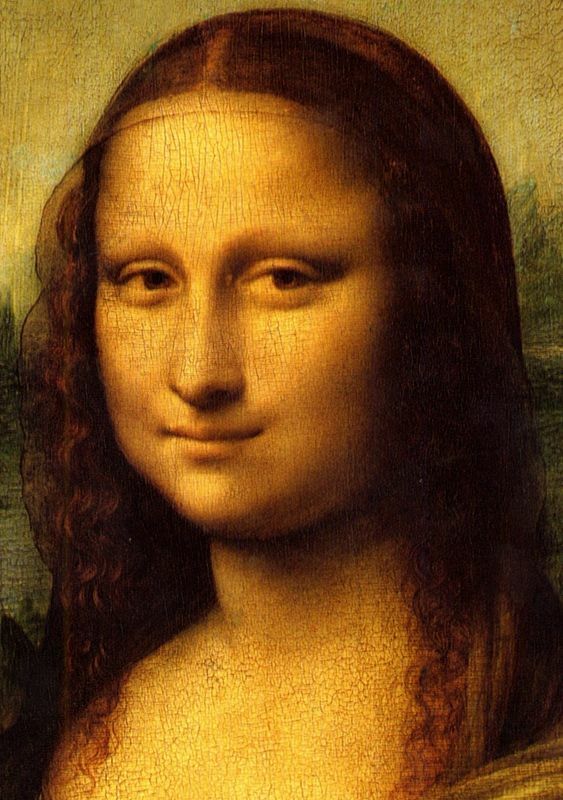 This technique adds ambiguity to Mona Lisa's expression. Another technique employed by the artist is that of aerial perspective which means that the background of the image has been made to look hazier with fewer clear outlines than the foreground. Leonardo was one of the first painters to use this method to add greater depth to his artworks. The Mona Lisa was painted on a poplar wood panel that was of extremely high quality and cut from a single piece of wood. On the back it appears that edging paper has been scraped off. An oak frame was used to strengthen the work in 1951 as it was slightly damaged. Leonardo cleverly used light to define forms, model them and create a feeling of depth. His sfumato lines disappear into the shadows and into the light and he offers no contrasts or boundaries by faintly blending light and shade in a natural manner. The Mona Lisa is covered with a series of translucent glazes that add to the sense of depth and create a polished surface. This painting is the earliest Italian portrait to concentrate on the sitter in a half-length depiction. Its vast dimensions mean that it includes the arms and hands without them touching the frame. Painted to a realistic scale, the portrait has the fullness of a sculpture. The Mona Lisa is a visual representation of the ideal of happiness and the landscapes illustrated are very important. The middle distance, on level with the sitter's chest, is painted in warm colors. This is a humanized space complete with a winding road and bridge. This landscape represents the shift between the space of the sitter and the far distance, where the scenery becomes an uninhabited area of rocks and water which stretches to the horizon, which Leonardo has cleverly drawn at the level of the sitter's eyes. 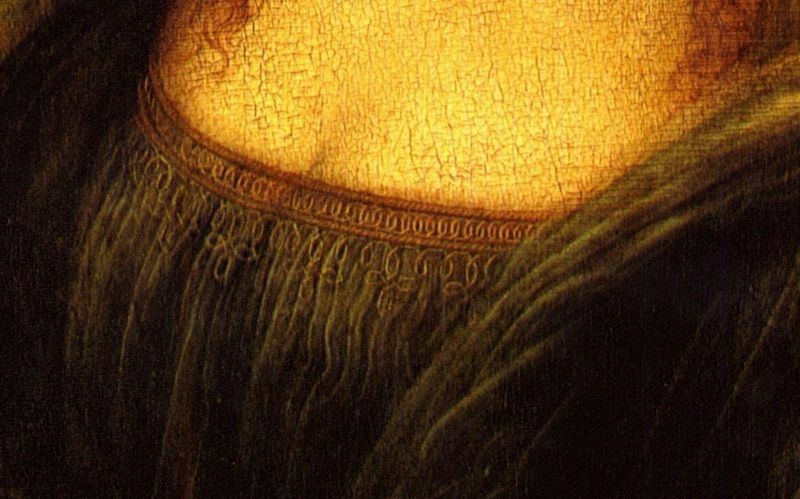 The Mona Lisa earned its place in history thanks to Leonardo's innovative techniques in laying on the paint, his knowledge of anatomy, light, botany and geology, his interest human expression of emotion and his use of the subtle gradation of tone. 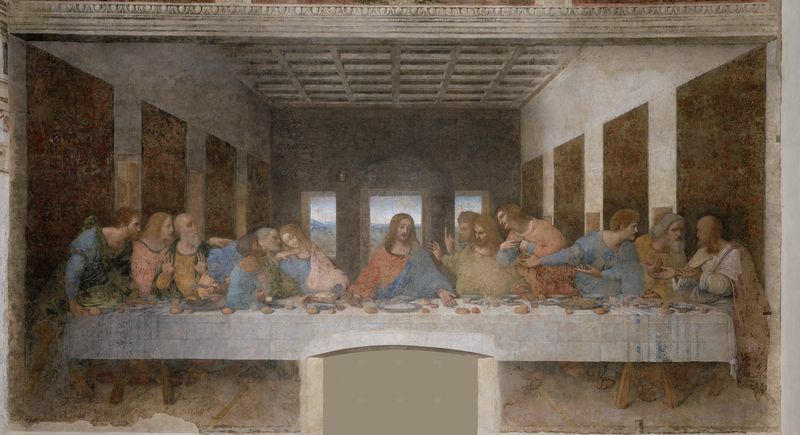 Such techniques were also employed when he created other masterpieces such as The Last Supper and The Virgin of the Rocks. The Mona Lisa was highly influential in Florentine and Lombard art of the early 16th century. Some aspects of the work such as the three-quarter view of a figure against the countryside, the architectural setting and the hands joined in the foreground already existed in Flemish portraiture, particularly in the works of Hans Memling. However, in the Mona Lisa the spacial unity, the atmospheric illusionism, the grand scale and the sheer symmetry of the work were all original and were also new to Leonardo's work - none of his earlier portraits display such controlled splendor. 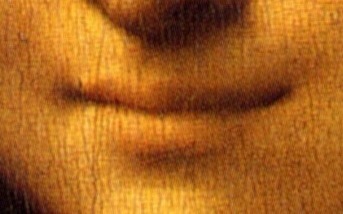 The success of the Mona Lisa and its continuing popularity is all down to its mystery, more specifically, the elusive smile of the female. By subtly shadowing the corners of her mouth and eyes the viewer is left intrigued as to the exact nature her smile. 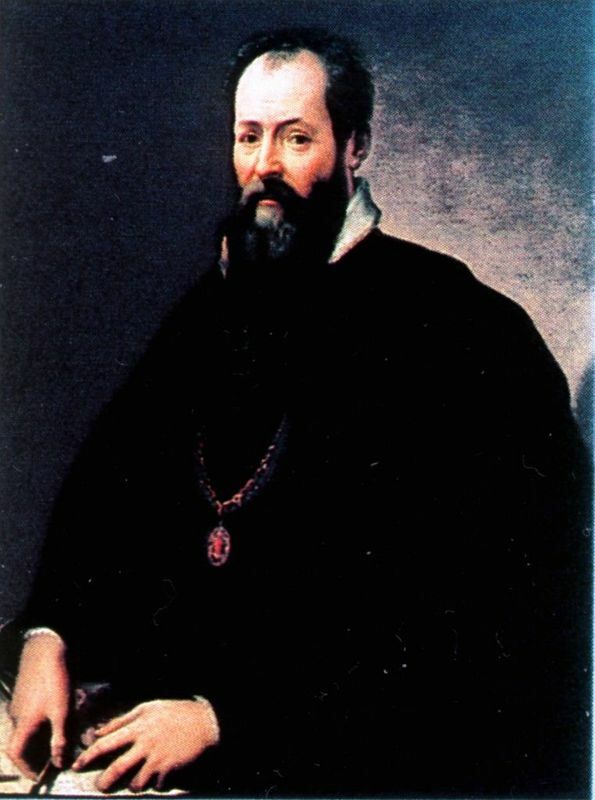 Vasari, who is thought to have known the painting only by reputation, said that it "was so pleasing that it seemed divine rather than human; and those who saw it were amazed to find that it was as alive as the original". He adds that the manner of painting would make even "the most confident master ... despair and lose heart. " 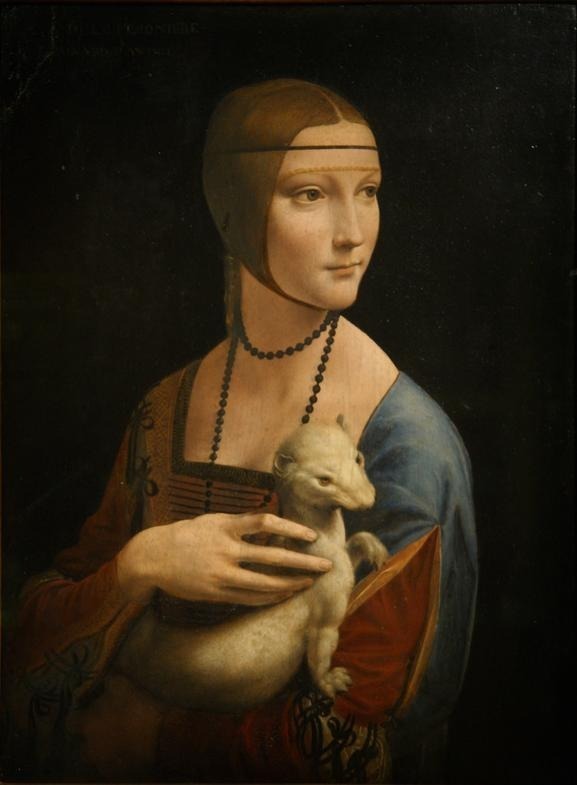 Mona Lisa's famous smile represents the sitter in the same way that the ermine represents Cecilia Gallerani. 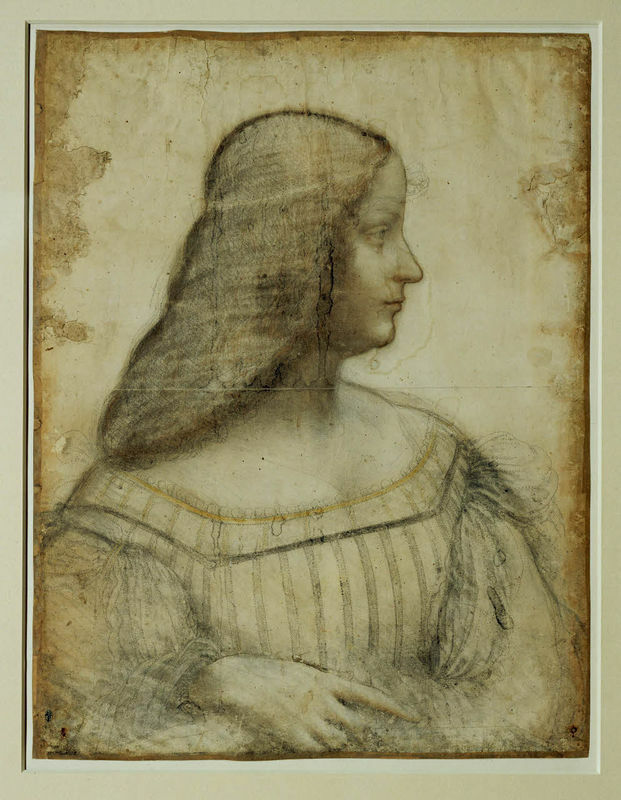 With a more traditional pose and added sentimentality, Leonardo's Lady with an Ermine foreshadows the Mona Lisa in its inflection of light and the model's faint, subtle smile. None of Leonardo's rare portrait studies are linked to existing paintings. Some claim that this work is the only one truly comparable to the Mona Lisa. 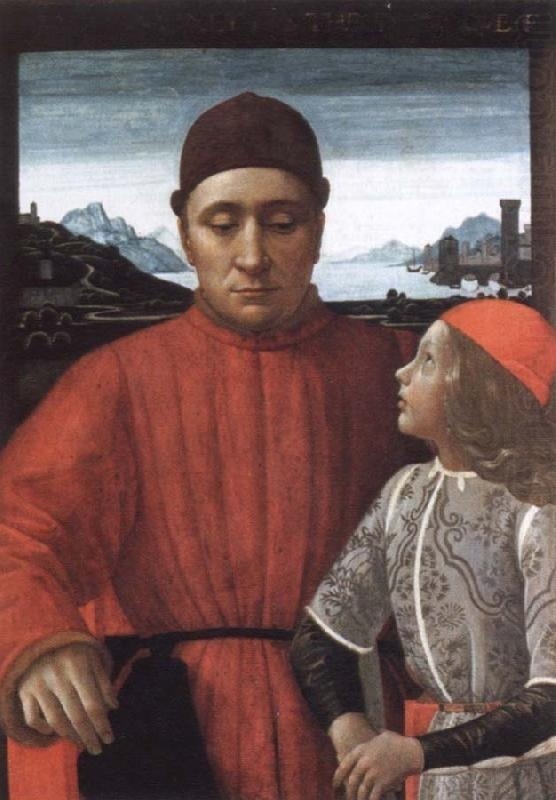 It was in the last quarter of the 15th century, in Italy and particularly in Florence, that artists aimed to convey the personality and physical traits of their subjects. The Mona Lisa combines several innovations, including the spatial solutions previously mastered by Flemish painters such as Hans Memling. 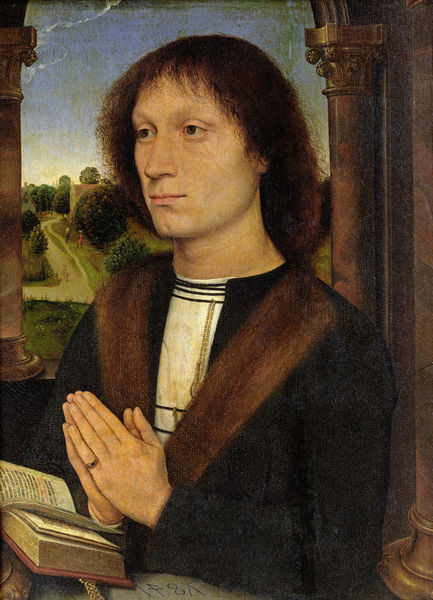 Memling's portrait was hung in the Portinari Chapel in the hospital of Santa Maria Nuova in Florence in 1487 and Leonardo must surely have seen it. The Flemish principle, pioneered by Jan van Eyck in 1428, was developed to a larger scale by Florentine painters between 1485 and 1490. The Mona Lisa was inspired by such new developments and became a model for other artists. 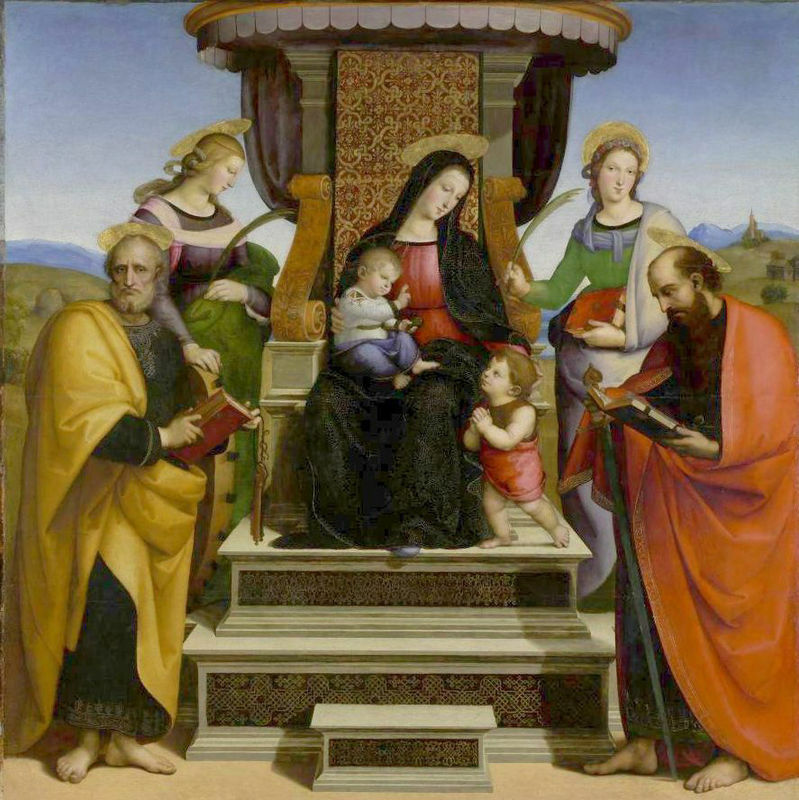 The Mona Lisa also drew on the formula that Domenico Ghirlandaio had experimented with twenty years earlier in this work which was the first large-format portrait. Sandro Botticelli painted this life-size portrait just before the Mona Lisa was created. 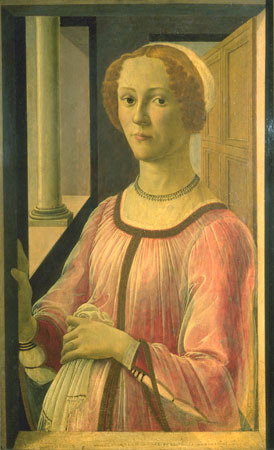 In Botticelli's work the model observes us from a space distinct from the observer's. 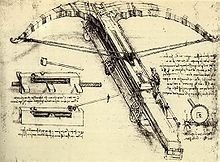 Although Leonardo da Vinci did not dedicate his entire career to painting, the medium he regarded so highly, it was the Mona Lisa that catapulted him to fame and established his reputation as an artistic genius. A landmark in his career, this work single-handedly combines his research into the landscape, the portrait and facial expressions. Da Vinci employed the technique of sfumato (often referred to as Leonardo's smoke) to produce the Mona Lisa. Other qualities of this work are the simple dress, the dramatic landscape background, the subdued color palette and the extremely smooth nature of the painterly technique, whereby the artist used oils but applied it much like tempera and blended it on the surface to hide any trace of the brush stroke. In the last decades of the 15th century the image of the winding river and path became a pictorial custom for spatial depth. 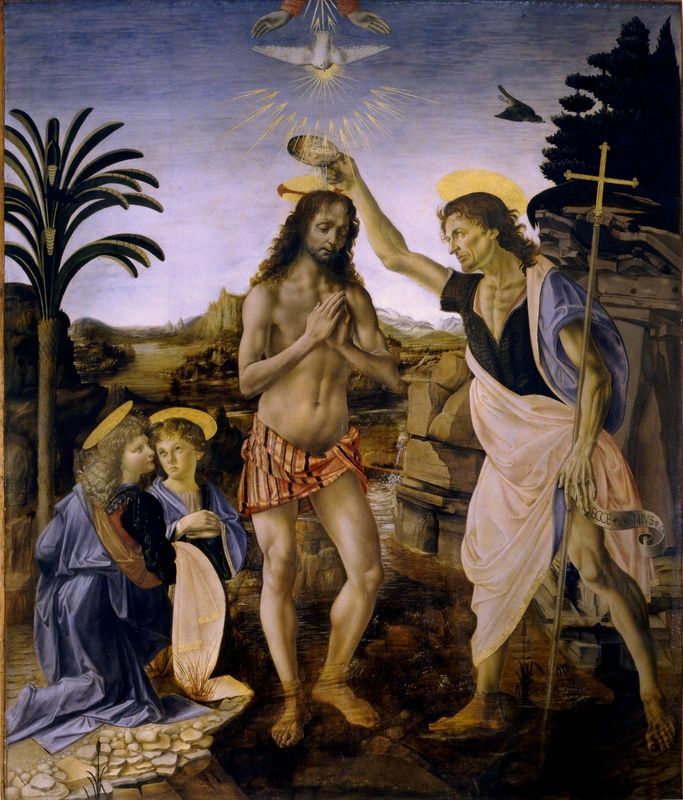 Leonardo had already employed this motif when contributing to the work of his master, Verrocchio, in Baptism of Christ in 1472. With Mona Lisa, Leonardo reverted to the more archaic format of the profile probably due to the royal status of his model. Works such as Mona Lisa are among the most esteemed and reproduced works in the history of art, rivaled only by the masterpieces of Michelangelo. Despite the fact that Leonardo never completed many of his works, and even fewer have survived, he influenced generations of artists and is today regarded as a universal mastermind. In art history, the High Renaissance was a time denoting the pinnacle of the visual arts in the Italian Renaissance. Most agree that the High Renaissance began in the 1490s, with Leonardo's fresco of The Last Supper in Milan and ended in 1527 with the sacking of Rome by the troops of Charles V.
The High Renaissance was a time of outstanding artistic production in Italy and the best-known examples of Italian Renaissance painting derive from artists such as Leonardo da Vinci, Michelangelo and a young Raphael. 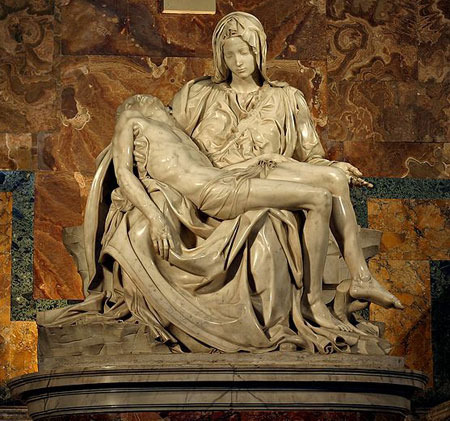 The images in the Vatican by Michelangelo and Raphael are the epitome of High Renaissance art and their size, ambitious compositions, detailed figures and iconographic references to classical antiquity, are emblematic of this period. Although typically named as the three giants of the High Renaissance, Leonardo, Michelangelo and Raphael were not of the same age. Leonardo was the eldest; he was twenty-three when Michelangelo was born and thirty-one when Raphael was born. Raphael died in 1520 at the age of 37, the year after Leonardo, but Michelangelo's career spanned a further 45 years.